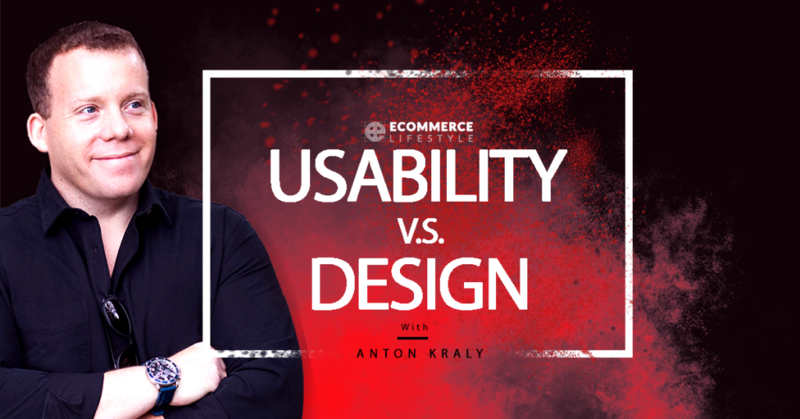 In this episode, Anton talks about the potential new price increase on shipping direct from China and talks about the importance of a site that champions usability over design. Shipping from China to the United States might soon become much more expensive, and Anton is in favor of it. Chinese companies were able to ship goods here for a ridiculously low rate and also some of these companies had problems sending cheaper knockoffs. The Drop Ship Lifestyle Blueprint does not ship products from China, so putting these companies on an even playing field with shipping cost is a good thing if it goes through. Remember that sales and conversions are not about how pretty something looks. Amazon is the #1 sales website and it does not look pretty. Design your site for user experience. Do not lead your site with social media links. If people make it to your site to buy, do not send them to your Facebook! Also, having too many pages to lead with (like Contact Us, Shipping and FAQ's) can be overwhelming. These pages are important, but not to lead your site. Make the products on your home page your best sellers. Accept all types of payment. Every app you use for your site slows it down. If you do not use an app, uninstall. Also, check the code of your site to make sure that app is completely removed. Get friends to go through your site and watch them to see if there is a place people are slipping up so you can find a better way to design. Hey, Anton Kraly here from ecommercelifestyle.com and welcome to another episode of the eCommerce Lifestyle podcast. Good morning to everybody if you're listening right as it comes out. That's one thing I'm actually curious about. I've been seeing the numbers that the podcast is getting in terms of downloads and subscriptions and everything and it's awesome so thank you but I'm curious if people listen right away or if people listen a week later or a month later. Being I've been doing these things for a while now. Let me know. Let me know 'cause it's I think best to probably listen in realtime but regardless, a lot of what I'm going to share, the messages I think do hold up over time. A lot of it is kind of evergreen. With that being said, something that I just wanted to briefly call attention to for everybody that is listening to this in realtime on what day is it? Probably October 18th right now on a Thursday morning. Wanted to address something that's been getting shared around like crazy, especially yesterday and that is what is going on in the United States with shipping direct from China. As you probably know if you listen to this podcast, I run a company called Drop Ship Lifestyle. It was voted the best eCommerce course by Shopify. We have 10,000 plus members from over 25 different countries and yeah, so a lot of people that are making a lot of money by building drop shipping businesses. By default, I've been getting a bunch of questions regarding what is going on with drop shipping from China. If you are part of my communities at Drop Ship Lifestyle then you know we have nothing to worry about because we don't drop ship from China. It's just not part of our business model. Never has been. But for everybody that's listening to this podcast that does, what it basically sounds like is the agreement that the United States has been part of for a very long time now basically led to China being able to ship using the US Postal service once products get to the United State. Anything that weighs 4.4 pounds or under so small parcels basically for just ridiculously low rates and with the way eCommerce grew, just what became to be unfair rates. At this point basically it said you could ship a product I think it was from Shanghai, some big province in China, you could ship something to Virginia, to Fairfax, that's under 4.4 pounds for like a $1.12. Meanwhile if you wanted to ship that same package from like North Carolina to Virginia it would be like a $1 I don't know, 40 something. Basically more money to get it state to state than it is China to the States. What that has led to is basically just absurd amounts of really competition with Chinese companies selling directly online. People drop shipping using apps like Oberlo and Ali Express and yeah,, it just really, really I don't want to say unfair competition but basically companies operating at a loss and a lot of US companies going out of business and a lot of this is my big problem with it, a lot of counterfeit products being listed on big marketplaces like Amazon, like eBay from companies in China that really just don't care and you order them and they're cheaper or they're the same price but then you get a knock off that arrives whatever, two weeks later. Just wanted to call attention to it though. I am for it so if anyone's wondering what do I think about this and it's not guaranteed yet but it seems like it's definitely happening that prices are about to go way up for shipping from China to the States. Probably to similar to how they are from the US to China. Just for example, a lot of packages like if you want to return them to China, something that might have cost a $1.50 to get to you, might cost a 100 bucks to get back. It's night and day. There's no comparison. We'll see. Again, I'm for it simply because there's too much crap being sold online right now. Not that everything from China is crap but you know there's a lot of people that don't care at all about the quality of stuff they sell and they're pushing crap like crazy and again, counterfeits I think are a massive problem. I'm happy about it. But that's just a little thing I just wanted to call attention to again if you're wondering what's going on in the news of the eCommerce world today. But what I actually wanted to talk about today is something that is definitely more evergreen and something that came up last night in a Facebook that I'm part of where basically a new eCommerce seller was sharing a whole bunch of different designs that they were looking to have done for a new eCommerce store. A store that's not live yet. They've never made a dollar. They're in the design phase. The graphic design phase. The looking at, what should my website look like? What color scheme? Which logo is perfect? What should this background look like here? What about the one in the footer? And so on and so on and so on. It's something I see all the time, that's one example from last night but I see this all the time in Drop Ship Lifestyle where people are like in the theme store in Shopify and they see all these things with like the parallax. Is that even how you say it? Parallax backgrounds and like things moving around and they're like, oh this is so cool. Listen, this is, it's so important. The biggest website in the world eCommerce wise, amazon.com, I honestly think is one of the ugliest and you need to know that sales and conversions are not about how pretty something is. And the last thing that you should be worried about are things like that. Like which of these six logos is perfect 'cause guess what? No one cares. That's not what's going to make you money. You shouldn't be worried about, do I have this huge hero image with snow falling in background, lights blinking and all this stuff. It's just that's not what makes you money. Honestly again, it's not important. In fact, it's more of a distraction than anything. What I want you to focus on either if you've already built a site like that or you're in the process of building a site like that, or you're just thinking about it, that stuff is not going to make you money. What's going to make you money is usability. Technically that's still design. There's two different types of design. There's like what people see in terms of again, the graphics, the videos, the images. Then there's the user experience which is designed. That's how you basically make it as easy as possible for someone on your website to be able to buy the thing that they want to buy. Let's talk about that a little bit because that type of design is worth dedicating all of your time to. Designing for user experience. Designing to make the shopping process easy on the person that visits your website. Few things that I see that are just in my opinion, massive issues. One of them, we'll just start at the top of website with the header. One of them is that people sometimes lead with social media. You'll got to a website and in the top left corner you'll see links to people's Facebook pages and YouTube channels and Twitters. Does that matter? Is twitters even a word? I don't know. But think about it, does that matter? If someone's on your website, especially for an eCommerce store, did they go to your eCommerce store so they could find a link to your Facebook page? No. Then why are you putting it right in front of their face? 'Cause if they do click it, then you have to worry about getting them back to your website to buy. Step one, don't lead with anything like that. The next thing that I would say is super important is your navigation menu. What links do you actually have up there in your header? And again, people will have like sometimes like a little button that says, "Shop" that has a caret pointing down, that has all of their different collections, bestsellers, men, women, whatever. However you break up your store and that'll be like one little thing. Then you'll have things like reviews, about us, history, what else? FAQs, shipping and returns, price policy and all this stuff and again, while those things are important to have on your website, all those pages, don't lead with that. Don't make that what takes up 90% of the screen real estate that people see when they're going to your website because when people go to your website, the thing you want them to do is go to your product pages. Make your homepage header navigation menu even shorter. Make it the collections that people are going to go to. Make it easy for them to find their thing. Again, technically is design but I'm not talking about what font it should be or what the line height should be or any of that. I'm just saying, put it in front of them. Other massive things that you could definitely work on is we'll just keep working ourselves down the page. What is actually on your homepage? Do you have like a homepage hero image or sliders? And if you do, what are they calling attention to? Is it worthwhile? Does anyone buy the stuff that you actually have put there? If not, take it off. Does it share a message that's going to increase your conversion rate? If not, take it off. You want to actually remove rather than add just to add or add 'cause you see other people adding. Next thing I would say are the products on your homepage. Again, usability, make them your bestsellers. Make them the 20% of the products on your website that bring in 80% of your sales. Some other things that really, really, really matter when it comes to usability is webpage speed. Look at your website. Use a tool like gtmetrics.com and Pingdom. I'll link those tools up at eCommerce Lifestyle. Go to ecommercelifestyle.com, click on episodes and then look for this episode. It'll be called probably like I don't know, Usability versus Design or something and you could find the links under that. Ecommercelifestyle.com/episodes. But focus on page speed. If have apps like a lot of people when they first sign up for Shopify, they get excited by the app store because it is exciting and there's a bunch of amazing apps but then people will go on a spree and install a dozen of them and the truth is, you're probably not using a dozen of them and the truth is every app you use will slow down your site. When you uninstall them, that's the first thing you should do, uninstall anything you're not using. You should also make sure you check the code on your website because when you install apps it adds code to your website for most of them and it doesn't always automatically remove all of the code. Just clicking uninstall won't just naturally make your website faster. You'll have to actually go in and look to see if anything was added. You could also just message the developer of any of the apps that you're uninstalling and ask the app developer, "Hey, what do I need to delete? Where's the code?" And they should either be able to do it for you or point you in the right direction. Other things when it comes to usability is making sure that on your product pages, they load super fast so the images that you use, make sure that they are JPEGs 'cause JPEGs could be the smallest file types. Make sure they're all compressed. We use an app to do that. I can't think of the name right now 'cause we've used a few different ones but it's something ridiculously, it's super affordable. There's apps in the Shopify app store that will compress your images for you if you don't want to do it with an external tool. Again, getting the website to load faster is usability. People, you think like, oh well people buy on my website. Maybe you have 60% of your conversions are on computers on desktop and maybe you're thinking like, well the other 40%, they're on mobile phones and everybody's got fast coverage now. Yeah, everyone doesn't have fast coverage a 100% of the time so make sure your website is, it's set up to work in the slowest of slow internet connection. When someone's on 3G, they should still be able to buy from your website. Again, that's usability. A big thing you could do there, beyond removing the apps you don't use and the code from them, is compressing all of the images that you don't need there. Few other quick tips, think about what actually matters. Think about how many people that lands to your website add to their cart and you want that to be at least five to 10%. If you're getting quality traffic, which you should be if you're listening to this, if you're a member of any of my eCommerce Lifestyle programs, if you're a member of the inner circle or if you're a member of Drop Ship Lifestyle, you should have five to 10% of people that go to your website add to cart. If that's not happening, look at your website to think why aren't people adding to the cart? From there, look at how many people are actually making it to the checkout. If that number drops off drastically, again, focus on improving that. What's breaking in between those two points? After that, focus on how many people complete checkout. Again, if they're not checking out, why? Look for reasons. Go to your website. Have people you know, just sit next to them. Don't tell them anything about your store. Just say, "Hey I want you to go to my website right now and try to add," whatever, "a pair of headphones to your cart and then checkout." And watch them try to do it and see where they're slipping up on your website because to you, if you're in there everyday, you're not going to notice things that might be obvious mistakes and obvious places for improvement. Watch someone do that. Some of the other big wins like I'm talking about cutting, cutting, cutting 'cause you do want to do. You want to strip anything unnecessary off your website to make it as easy as possible for people to buy but what you also want to do is give them every single option you possibly can to get them to pay. Yes, obviously you should use Shopify payments. If you do, you can accept Apple Pay, Google Pay. You should be accepting Amazon payments. You should accept PayPal. Accept every single way to get money possible because everybody's going to have their own preferred way of paying. And yes this can look cluttered, it can make your checkout look like there's a million things going on but I'm telling you, the more options for giving people the opportunity to give you money, the better. The only one I would say for 99% of stores isn't worth setting up is bitcoin because we've never got any sales with it on our eCommerce stores and it was cool six months ago when everyone was talking about it but yeah, I wouldn't waste my time with that now until maybe there's a resurgence. The other thing I would say with checkouts on that topic is use Shopify's accelerated checkout and what's cool about that is basically it's going to recognize what device people are on so talking about that whole clutter thing, if someone's on your website and they're on Google, then if you using the accelerated checkout and dynamic checkout buttons, it's going to show them to use Google Pay. If they're on an iPhone, it's going to show them to use Apple Pay and so on and so on. Yeah, those are some quick tips. Again, it doesn't matter if your website is fancy and has things spinning around on it and looks like it was designed by, I don't know, someone from Prada who does art shows and fashion shows. It matters if it's easy for people to use. It matters if they trust you. If you have high quality products. And it matters if basically they can find what they want, get the information they need and check out as easy as possible. Hope you got some good tips for this. I will post some relevant links on ecommercelifestyle.com. Again, go to ecommercelifestyle.com, click on episodes, you'll find it there. And finally, I'll just ask for anybody listening to this that is getting value, I would definitely appreciate it if you subscribe. The podcast is on iTunes, it's on Stitcher, it's on Pocket Casts. All the big platforms. And then of course if you could leave me a review, if you're getting value from this, on iTunes. It'll take you like two seconds but it would really help the reach that I get here and help more people learn how to build their eCommerce stores profitably. Again, really appreciate the reviews that we've got already. Thank you for everybody that's taken the time and for everybody that's about to close this app and do it now. I appreciate you as well. Thanks everybody and I'll talk to you in the next episode of the eCommerce Lifestyle podcast. Bye. Have any usability tips of your own? Share them in the comments!